The classic Under Armour's Armour Fleece Storm Big Logo Hoodie may be the most popular boys hoodie out there. That doesn't mean we won't keep working to make it better. Our high performance, sweat-wicking, lightweight, ultra-warm Armour Fleece sweatshirt now gets UA Storm technology to make water bead up and roll off. 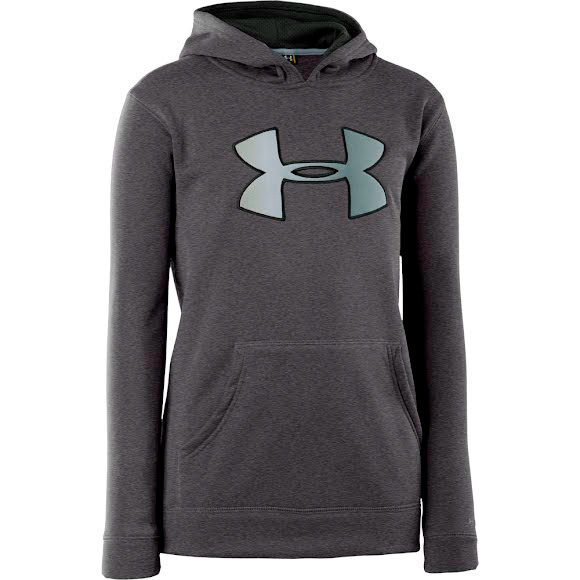 The classic Under Armour&apos;s Armour Fleece Storm Big Logo Hoodie may be the most popular boys hoodie out there. That doesn&apos;t mean we won&apos;t keep working to make it better. Our high performance, sweat-wicking, lightweight, ultra-warm Armour Fleece sweatshirt now gets UA Storm technology to make water bead up and roll off. UA&apos;s signature highly water-resistant performance fabric that repels rain and snow for all weather training.